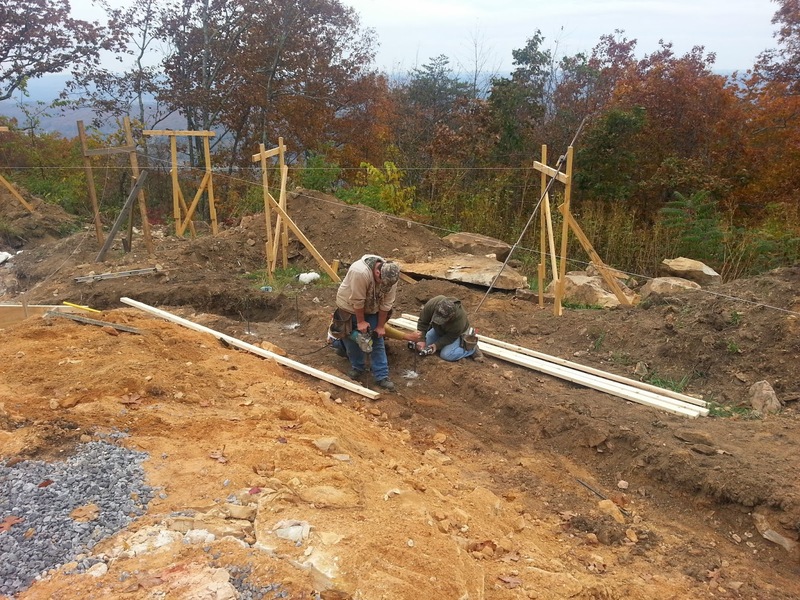 The footings will be sitting on solid rock. Stacy is drilling into the rock to drive a piece of rebar to restrain the framing lumber. Slow going but essential. 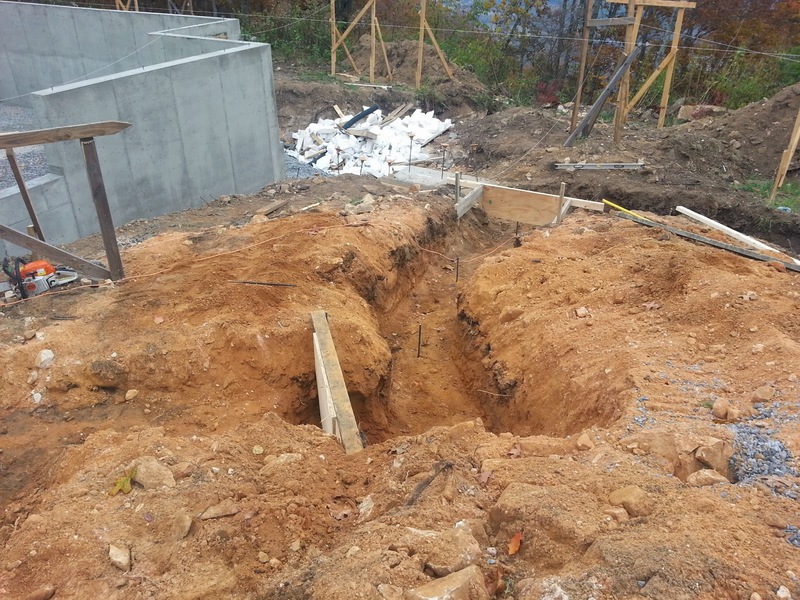 Given the grade, there are a lot of steps in the footings. See levels of framing to handle the steps.